The CapableCore was formed in 2008 on the Campus at Harvard Business School. The idea behind CapableCore is to have a global network of professional business people who have a track record in business start-up, growth and turnaround improvement that produces great results. The ultimate aim is to build a worldwide unique group of capable people. Our vision is simple; ‘To create a global group of business professionals who can execute on our customer’s strategy and and lead them on a path of transformational growth. By combining our talents, our global contacts and appropriate technologies, the members of CapableCore help every one of their customers to become a market leader. CapableCore is a virtual team of high-calibre individuals with the insight and experience necessary to turn the mediocre into something special. Every member of the group has earned the respect of their peers through their achievements. They have access to some of the best people and they understand how technology can be used to inform and transform a business. 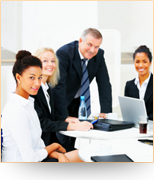 This core group of capable people can help your organisation to achieve remarkable results.